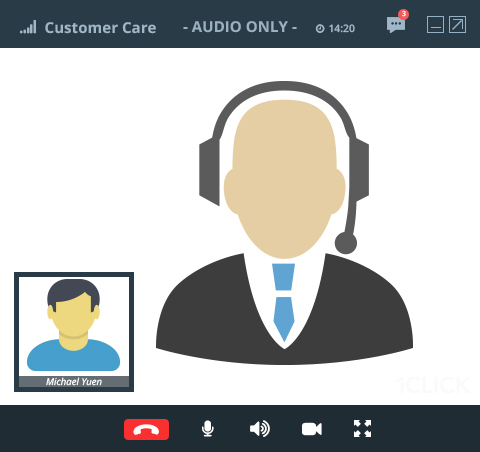 1CLICK’s unique live chat support application allows you to trim your video chats into a simple voice chat with your customers. This feature can easily be enabled on your dashboard so that you receive all your customer calls through plain-voice. Sounds simple doesn’t it? 1CLICK uses Opus Interactive Codec to ensure that your Audio calls are of the highest quality. Hence, we have established the use of the most efficient Audio Codec in the VoIP industry. Opus is a highly versatile audio codec. Opus is unmatched for interactive speech and music transmission over the Internet, but is also intended for storage and streaming applications. It is standardized by the Internet Engineering Task Force (IETF). Opus has been shown to have excellent quality and is the most competitive audio format with the best coding efficiency. Opus provides Support for both constant bit-rate (CBR) and variable bit-rate (VBR). Audio bandwidth from narrowband to fullband. Good loss robustness and packet loss concealment for internet is built into opus. It’s easy for your customer to place a call with just 1CLICK. There’re no charges that he faces, hence allowing him to contact you seamlessly with our live chat for businesses. Every customer call matters, and we’ve done our best to make it simple for your customer and you to interact. Our pricing is low budget and low cost to connect with customers located across the globe. 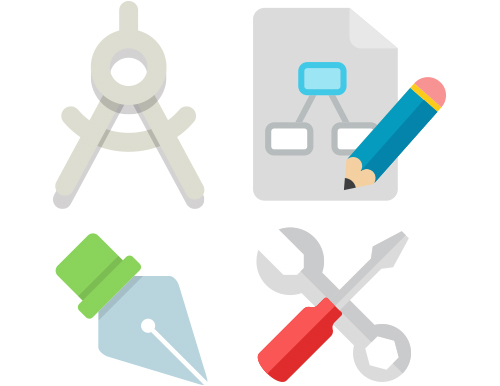 So give your business that extra edge online with 1CLICK’s web application for support and sales. Receive voice calls from your website and assist customers with anything they require. Sit back and talk to your customers with voice chat to help you provide live customer service online. 1CLICK’s online live customer support software gives your customer service the edge it requires against any of your competitors with this simple feature. Voice communication is faster than text and will speed up your customer service chat with this feature. It’s easy to use and is completely free of cost for your customer. So if you have a phone number displayed on your website for customers to call, you can easily substitute it with our free voice support software and enjoy talking to your customers through your browser.